Best Wishes for a Happy Christmas and our sincere thanks for your loyalty and goodwill throughout the year. 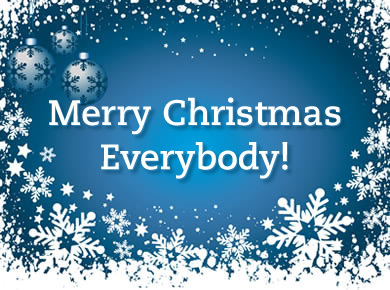 We are closed for Christmas shutdown at 5pm on Monday 23rd December 2013 and re-open for business at 9am on Thursday 2nd January 2014. Rittal air/water heat exchangers are capable of cooling the air in an enclosure to a temperature lower than that of the ambient air. Heat to be removed is transferred to a water circuit and may be conveyed to a remote location before being dissipated. The lack of dependence on ambient air results in a maximum operating ambient air temperature of 70 °C. Air is recirculated inside the enclosure maintaining an ingress protection category of IP 55. Cooling with water may also be considered from an energy saving perspective. Air/water heat exchangers supplied with the eComfort controller incorporate the Eco-Mode control functionality. This employs an intelligent strategy to effectively target the use of energy by disabling the internal fan when the temperature inside the enclosure falls to a predetermined level below the setpoint. The fan is then pulsed periodically to ensure the accuracy of the sensed temperature before being permanently enabled when the temperature rises above the predetermined level. Although the capital cost of a cooling system incorporating multiple air-to-water heat exchangers and a single water chiller may be greater than that of an equivalent number of refrigerant based cooling units, energy savings are typically in the region of 40 per cent. Efficiency of water cooling systems may be further improved, particularly in the climate of the United Kingdom, by locating water chillers externally and integrating dry air coolers to take advantage of free cooling. Rittal’s thermostatic electric cooler offers flexible and lightweight cooling for a heating solution that offers precise climate control. Ideal for accurately controlling the temperature to ±1 K in small enclosures providing 100 W of both heating and cooling. 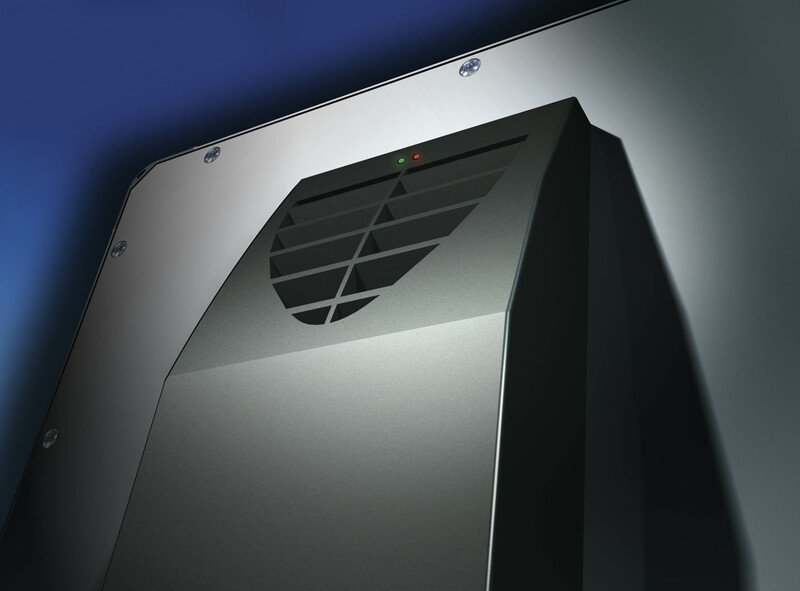 The compact size, light weight and low‑vibration operation of the Rittal thermoelectric cooling unit is ideally suited for command panels and support arm systems. The unit may be fitted either externally or, if space around the enclosure is at a premium, internally, leaving only 55 mm protruding outside. Rittal’s cooler may be installed either horizontally or vertically on the wall or door of the cabinet and the optional master/slave adaptor can be used to connect multiple units, providing a truly scalable, modular solution. Peltier technology requires no refrigerant or chilled water to function; an electrical power supply is all that is needed. The range consists of only two units, a DC and an AC variant, which accept 24 V DC and 100‑230 V AC power supplies respectively. Simplicity itself, the only moving parts of Rittal’s thermoelectric cooler are fans moving air across either side of the solid‑state element which reduce the risk of component failure and maintenance requirements as well as less vibration and noise, both acoustic and electrical Supplied complete with a USB cable and software, both set up and monitoring of operational parameters may be carried out with ease.